Mixing soul, jazz, and country twang, New York City’s Carla Lynne Hall is a singer/songwriter playing pop by her own set of rules. The Manhattan Mirror has described Carla’s music as “Norah Jones meets Sade for tea on their way to visit The Beatles”. A visit to Manhattan’s Hayden Planetarium inspired SUPERNOVA, the title track of Hall’s third CD, released on her independent label Moxie Entertainment. 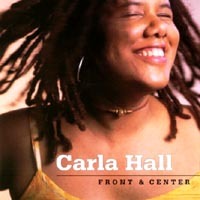 Carla’s debut CD, FRONT & CENTER was released in 2000, and reached #3 in college radio playlists. Her second release, the “My First Child” lullaby CD single, found popularity in 2004 with the baby shower set, as well as with pregnant celebrities Courtney Cox and Debra Messing who were expecting their first children that year. Hall also expands her performances to the classroom. Teaching seminars for organizations such as The Learning Annex and ASCAP (American Society for Composers and Publishers), Carla has inspired attendees at standing room only lectures such as Making Money Making Music, Guerrilla Music Marketing, and Networking in the Music Biz. Most recently, Carla has been named a Master Teacher by Skillshare.com. In addition to the performing end of the business, she has also worked on the other side of the desk. Her industry experience includes Juna Entertainment, as the former director of marketing, EMI Music Publishing, Criteria Recording Studios, and WHQT-FM in Miami, Florida. 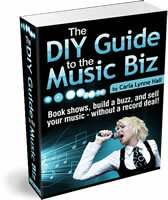 As an indie music marketing consultant, Carla helps artists & bands, and companies such as Ariel Publicity and Chicken is Kickin’ Music reach their marketing goals. 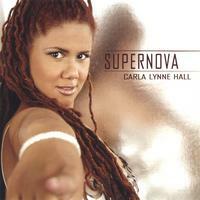 In September 2012, Carla’s new TV show “Carla Lynne Hall: Music Trekker” will debut on Manhattan Neighborhood Network’s Channel 34 on Time Warner Cable in New York City. Live and archived episodes of the show can also be viewed on MNN.org.